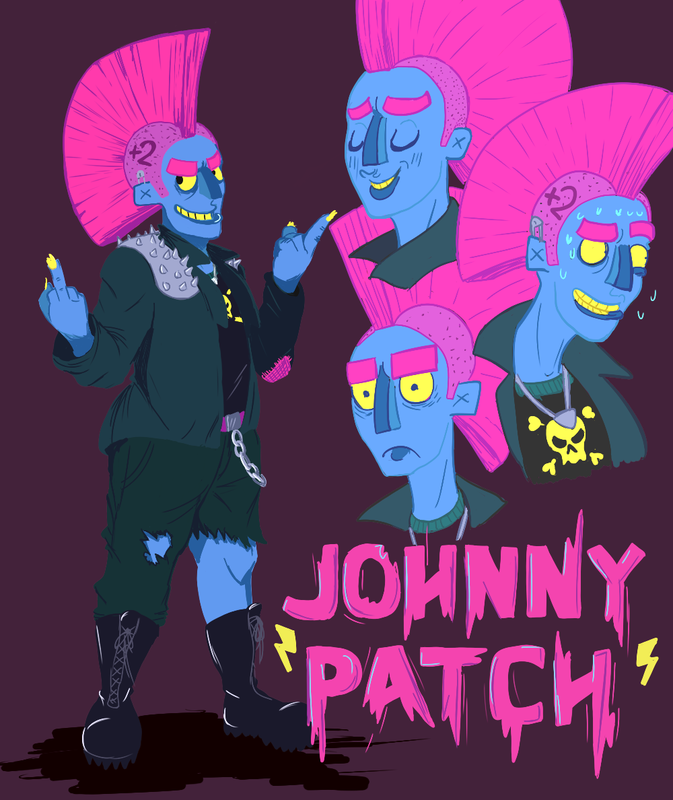 Johnny is a rad idiot teenager who acts a whole lot tougher than he is, and the only reason he is still alive is because he is both hard-headed and good at running away. He never takes the simple way to do things (always the coolest way), and will usually act like he's a big awesome rule breaker, but will always pay his way, wear helmets, and be oddly courteous. The law breaking is just on the side and often by accident. It's suggested he acts out due to a desire to have boundaries from his loving, overly accepting parents. Also he is blue and other funny colours. There is no official reason for this (or the +2 tattoo). Johnny has no real canon and things made up about him in one comic will often be wilfully contradicted in another. Johnny does not swear he just thinks he does.